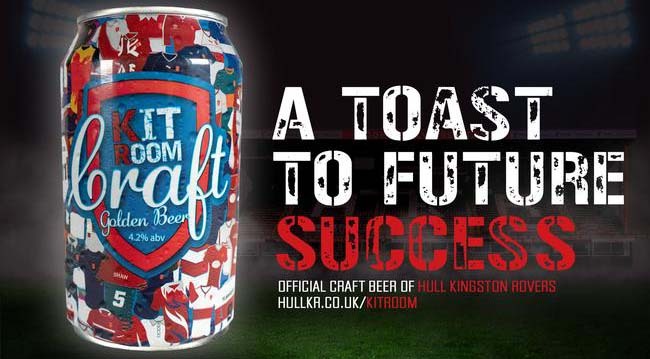 Hull KR have announced the launch of their own beer, Kit Room Craft. The craft beer, produced by East Yorkshire brewery Great Newsome, will be served on matchdays and in local bars, restaurants and retailers. “We are so excited to finally reveal the official beer of the club,” said Hull KR’s Head of Marketing, Craig Franklin. “Big Listen feedback has told us fans would like to see a bigger selection of beers available on a matchday with an emphasis towards local and craft ales, and this ticks all the boxes.